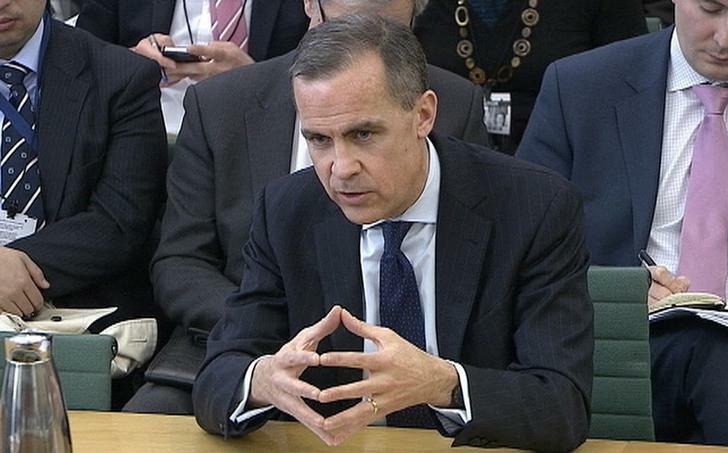 The Bank of England governor has rightly binned incentives for banks to pile into mortgage lending. Further focusing cheap central bank funding on small companies also makes sense. But Carney is still pulling his punches. He should demand changes to the UK’s Help to Buy scheme. Mark Carney, the next governor of the Bank of England, answers questions from a parliamentary committee in the Houses of Parliament in central London February 7, 2013. The Bank of England on Nov. 28 announced that its Funding for Lending scheme would be refocused so that UK banks would be further incentivised to lend to small businesses, rather than households. FLS currently enables banks to secure cheap funding from the BoE in proportion to the amount of new net lending they advance in mortgages and business loans. Lenders can obtain four-year funding up until the end of January 2015, on a one-to-one basis for net increases in mortgage lending and on a five-to-one basis for net increases in small business loans. Under the changes, FLS funding will only be granted in 2014 to banks that have increased their net corporate lending, excluding mortgage lending. The funding will cost 25 basis points, and for every 1 pound of net new lending to small firms with a turnover of under 25 million pounds, lenders will receive 5 pounds of cheap funding in return. The Prudential Regulation Authority said on Nov. 28 it would continue to allow banks to offset any increase in their so-called “Pillar 1” regulatory capital from lending to small firms by reducing their so-called “Pillar 2” requirement. Lending to households will no longer qualify for the exemption. The BoE also asked the Financial Conduct Authority to ensure banks conducted better checks on whether borrowers could repay their mortgages. It also stressed that its Financial Policy Committee has the power to make recommendations on the government’s “Help to Buy” scheme at any time.